Use the VCDS SRI Reset function to reset the Service Interval Reminder (SRI) on Audi and VW. The Service Interval Reminder (SRI) may include oil mileage interval, the service mileage interval, and the service time interval. 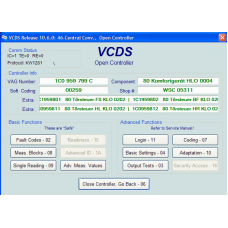 • Has a database of more than 9200 fault-codes and measuring-block texts. • Uses the new 7-Digit PIN/SKC codes to match new keys in all immobilizer equipped VW/Audi/Seat/Skoda models. 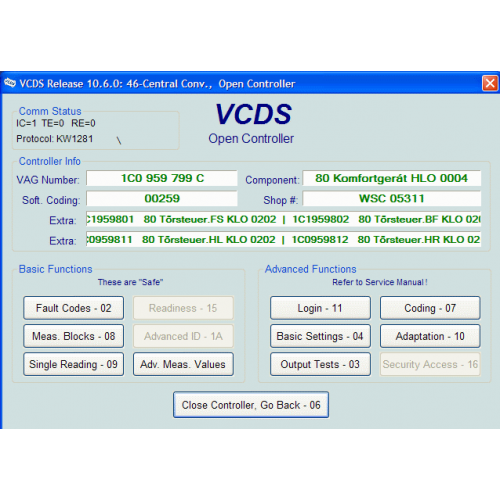 The VAG-COM Diagnostic System (VCDS) surpasses all other aftermarket tool and rivals the factory tool at a fraction of the cost. 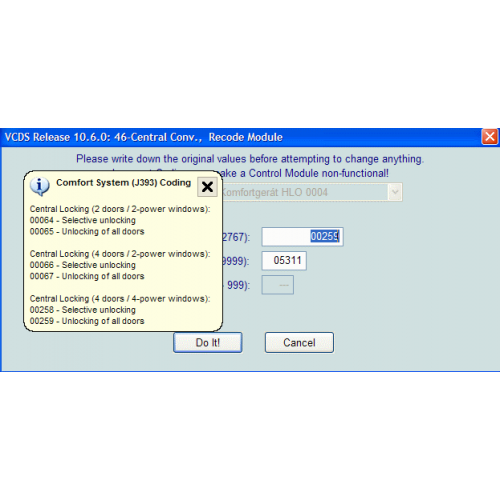 The VAG-COM Diagnostic System (VCDS) also does one thing the factory tool does not: Logging of live data for later analysis. It is also faster and easier to use than the factory tool, even technicians at VW of America use this tool rather than the factory tool. 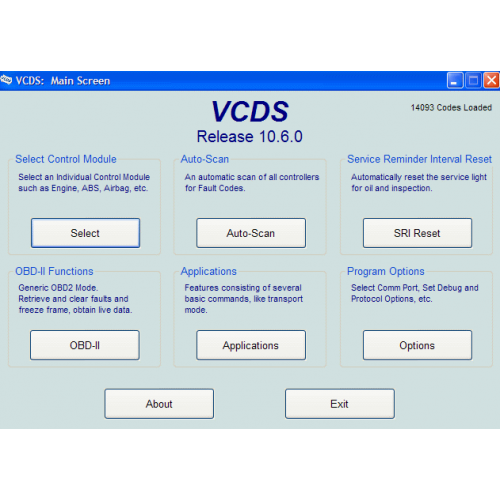 VAG-COM Diagnostic System (VCDS) will work with 1994-current model year Volkswagens and Audis sold world-wide. It will work with some 1990-1993. It also works with most late-model SEAT, and Skoda models sold in markets other than North America. - 16-pin "OBD-II style" Data Link Connector, VAG-COM will definitely work. - "2x2" Data Link Connection, if there are four wires. If there are only three, it won't. The Vag-Com works with "chipped" vehicles if the chip-vendor did nothing that interferes with diagnostic functions. 500 MHz or faster PC running Windows 98, 2000, XP, Vista or Win 7 with an available USB port. Windows XP or Vista on a 1 GHz (or faster) PC is preferred. No longer supported: Windows 95, 98, ME or NT4.